How much fun is this?!?! 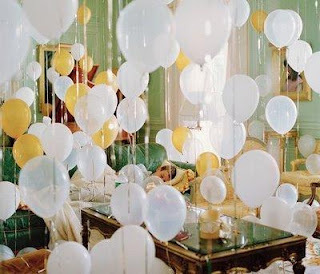 Your room filled with balloons to celebrate your beloved's special day. A Birthday cake to feed each other while you snuggle in front of the fire. Jacuzzi bubbles as you soak in the tub. Topped off with a private candlelight breakfast delivered on time to your room. Happy Birthday!